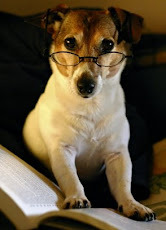 I'm pleased to announce that award-winning writer, Dusty Rainbolt, will be my guest at the inaugural "Conversations With Animal Authors" teleconference, to be held on Thursday, January 29th at 8:30pm (EST). Ms. Rainbolt will discuss her recent book, Ghost Cats: Human Encounters with Feline Spirits, which was recently reviewed here. The hour-long teleconference is free and can be accessed by calling: 616-347-8100, and entering PIN #1063739. Long-distance charges may apply. For those who are interested in hearing the interview, but cannot participate live, I'll be posting a link to a recording of the event a few days later. Dusty Rainbolt is the host of the Pet Life Radio program, Paranormal Pets." She has written several other books, including Cat Wrangling Made Easy: Maintaining Peace and Sanity in Your Multicat Home, and Kittens for Dummies. She is also the product editor for Catnip newsletter, published by Tufts University School of Veterinary Medicine. Dusty Rainbolt has a distinguished record as a cat chronicler, and she has been investigating paranormal phenomena since 1998. She brings not only a first-hand knowledge of the subject, but also, a spirit of fun, wonder, and good humor. I know that anyone who joins in on this call will have a great time. "Our cats seem to live in that mysterious realm between the natural and the transcendental, betwixt the living and the dead." Cats do seem to dominate the literature about phantom apparitions, and if you're endlessly fascinated with their uncanny--and sometimes eerie--appearances as translucent beings, then Ghost Cats: Human Encounters with Feline Spirits is for you. "There's a mystery and a tension that comes with cat entities when you never knew that cat in life. I selected these tales for their strangeness. In most cases, the people featured in the stories were visited by ghost cats they'd had no connection with. Why die these cats come back? Did they select the people to haunt, or were they simply trapped in their place of death?" Often, the spirit felines are encountered after a family moves into a new home. The cats' previous human companions may have vacated the premises, but these kitties aren't going anywhere. Some of them may not even have realized that they have passed into another dimension: they continue to play with living cats and dogs and jump up on tables and beds, and on occasion, even make distinctive mewing sounds that can be disconcerting, indeed. "Few people felt threatened or disturbed by the dead kitty's appearance. People usually felt blessed and happy about their cats' spiritual return, while they might have gone into a complete panic had a dead parent or spouse shown up instead." "During their lives with us, cats act as our companions, caretakers, nurses, counselors, and even entertainers. And after that all-too-short life comes to an end, their absence leaves a huge hole in our lives. Nothing will ever be the same. You feel incomplete, empty. But that spirit who loved you so unconditionally in life continues to love you despite that vast invisible gulf that divides you." I'm thrilled to announce that Dusty Rainbolt will be my guest at the inaugural "Conversations with Animal Authors" Teleconference, on January 29th! If your horse's behavior has you stymied, and the tried and true training techniques have failed to yield results, this book may help. Emotional Healing for Horses and Ponies sheds light on the equine view of the world, which is often so very different from our own. Authors Stefan Ball, Heather Simpson, and Judy Howard remind us that most of all, horses are prey animals, and everything they think and feel is filtered through that prism. They address a host of what we often perceive as difficult or puzzling behaviors, not only explaining the horse's perspective but offering specific advice on the appropriate uses for the various Bach Flower Remedies, which work on a vibrational level to bring emotions into balance. Among the common dilemmas they address are trailer and travel problems, fear and anxiety, boredom, aggression, and grief. Rather than simply prescribing one particular remedy as a cure-all for a particular situation, the authors stress the importance of understanding the root cause of the behavior, because there are subtle nuanced differences in the ways in which each remedy will affect the nervous system. For example, if a horse is fearful of entering a trailer for no apparent reason, Mimulus might be helpful. If you know that the horse's refusal is a result of a previous traumatic experience, then you might try Star of Bethlehem. If the horse is simply balking because of wariness of a new experience, then Walnut might be in order. Or if a horse panics and completely loses control, Rescue Remedy could be just the thing to ease the stress. The authors provide a glossary of the vibrational qualities and equine uses for each of the 38 Bach Flower Remedies, with advice as to how to administer them. They have packed this slim volume with dozens of stories and examples of how the remedies, coupled with other types of intervention, can ameliorate "the stress of living with people." If you own or work with horses, Emotional Healing with Horses and Ponies is an invaluable guide. We are all, it seems, victims of a relentless barrage of noise from the rhythms of everyday life: appliances, TV, radio, traffic, lawnmowers, and screaming kids. We may not realize it, but over time, this soundscape is doing a number on our nervous and immune systems, and those of our animals. Through a Dog's Ear: Using Sound to Improve the Health & Behavior of Your Canine Companion, is not just about how sound affects animals. It's about how it affects us, too. 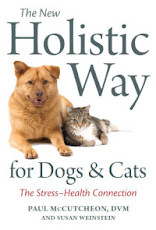 This ground-breaking book made me turn off the TV, and really bring some awareness to the constant background noise in my home environment and what it might be doing to the health and wellbeing of all of us who live here: humans, dogs, cats, and canaries. Authors Joshua Leeds and Dr. Susan Wagner have been able to demonstrate that certain kinds of soothing classical music can provide a calming antidote when animals are stressed and losing their cool. Not just from the effects of unwanted noise, but when they are fearful, aggressive, suffering from separation anxiety, or terrified by the prospect of a ride in the car. Until now, behavioral modification techniques and drugs seemed to offer the only relief from these problems. What's interesting is that not all classical music has this pacifying effect. The authors tell a fascinating story about "Petey," a dog who howled with delight when a visitor in his home played Grieg's Piano Concerto, but who walked out of the room when she practiced Mozart or Bach! In a pilot study, they found that "solo instruments, slower tempos, and less complex arrangements had a greater calming effect than faster selections with more complex harmonic and orchestral content." As a result of their pioneering work, Leeds and Wagner have developed three CDs: Music to Calm Your Canine Companion, Vol. 1, Music for the Canine Household, Vol. 1, and Through a Dog's Ear Driving Edition: Music to Calm Your Dog in the Car, all of which contain "psychoacoustically designed" classical music selections to assuage canine fear, stress, and separation anxiety. The book, Through a Dog's Ear, comes with a sampler CD, with excerpts from Music to Calm Your Canine Companion and Music for the Canine Household. It also offers suggestions on how and when to use the CD for optimal behavioral response.